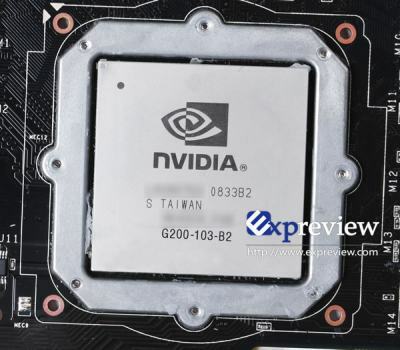 The next NVIDIA monster will be the GeForce GTX 260 GX2 that will have two GT200 GPUs. The GeForce GTX 260 GX2 will be powered by the 55nm version of the GT200 GPU, tagged with “G200-103-B2”. This new GPU will have 216 shader processors (or cores). The official name of GeForce GTX 260 GX2 will be GeForce GTX 295. I hope this card is actually able to run with the HD4870X2. Would give us some lower prices on it and push the companies to increase the performance out of them. I’m no nVidia fanboi; I’m actually running and HD4870 right now.